Are you voting tomorrow? If so, for whom, and why? Tomorrow is runoff day. If you voted in the Democratic primary on the 12th, you may or may not have any runoffs to decide. But if you voted in the Republican, you have quite a bit of unfinished business — to start with, picking nominees for governor and attorney general. All I have on my plate is a choice between two people in the 2nd Congressional District — in other words, as conventional wisdom would hold, a choice as to who will lose to Joe Wilson in the fall. Sure, it’s always hypothetically possible that a Democrat could win, but the Republicans who have painstakingly drawn and redrawn that district over the last few decades have had no intention of letting it be likely. Still, since I broke with usual pattern to vote in the Democratic primary this time — to help James Smith along on the road to becoming governor — I feel honor-bound to go vote in this runoff, as unlikely as it is that the winner will ever be going to Washington. On the 12th I went with Sean Carrigan. That wasn’t based on a whole lot. Once upon a time, I would have had extensive endorsement interviews with these candidates. Now, I’m dependent on the folks who are still in the working media to tell me about these folks, and I ask you: How much coverage have you seen that helps you know and understand Carrigan and opponent Annabelle Robertson and what they stand for? Yeah. I haven’t seen much either. So I was reduced to perusing their websites. In other words, to reading what they want me to think about them. Limited as it is, that does have value, I’ve always believed. Even if it’s not true, the fact that a candidate wants you to believe X or Y about him or her is in itself revealing. The problem is that the gap between the super-rich and working families is greater than it’s been since the Great Depression, with the top 10% controlling 76% of the wealth in America, while the rest of us fight for the crumbs they throw down from their five-star dining tables…. We could spend all day talking about tax cuts and empty Republican economic promises, but at the end of the day, a well-educated workforce and an economic system that strives to provide increased opportunities for all is THE key to Economic Prosperity. In South Carolina District 2, we need to decide what an Economic Win looks like. 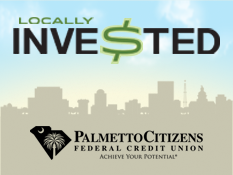 One thing is for sure: when Profit trumps People, the working families of Aiken County, Barnwell Country, Lexington Country, Orangeburg County and Richland County don’t win. Due to the failed policies and voting record of Joe Wilson, more than 70,000 children and 40,000 seniors reside in low-income families. That’s enough impoverished children and seniors to overflow Williams-Brice Stadium one and a half times! Yeah, I know — those messages aren’t all that far apart. But notice how the Carrigan one lacked that element of resenting the billionayuhs at their five-star table? Also, there’s the fact that Ms. Robertson calls herself a “Progressive Democrat.” Yeah, that’s all I need. 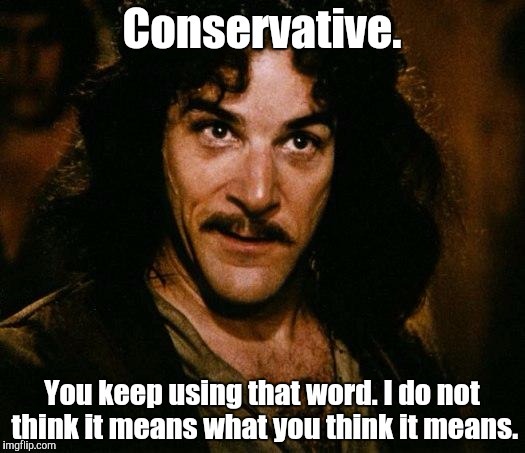 I’m sick to death of Republicans talking about how “conservative” they are (which generally causes a sort of Inigo Montoya reaction in me). All I need to make my head explode completely is to hear the same kind of nonsense from the other side as well. Also, she uses “fighting for you” language. Y’all know how I hate it when politicians use the “F” word. Anyway, I grabbed at those straws, and voted for Carrigan. And I’ll probably back him again tomorrow. No, I realize that’s not the most ringing endorsement you’ve ever heard, but I work with what the candidates give me to work with… And I’d love to hear it if you have a good argument for why I should back Ms. Robertson instead — whether I agree with you or not. Anyway, how about you? How do you plan to vote, and why? Have any of y’all voted yet? If so, how? Was there anybody at YOUR polling place? This entry was posted in Elections on June 25, 2018 by Brad Warthen. Nope. McMaster is going to win by a wide enough margin to not make one vote a deciding vote. If I did vote it would just to be to cast a vote against Alan Wilson. Voting for Warren and donated to his campaign today. It’s a vote against McMaster not because he is past his prime like James Smith says but because of his ties to the Quinns and the fact that he has done nothing of note while in office. He had his shot. Voting for Warren because I prefer my candidates to not be career politicians. It’s not a hard job.. Just takes intelligence and ethics. Nothing I’ve seen suggests he can’t do the job. Maybe he’ll take on Leatherman. I’ll also vote against Alan Wilson who proved who he really works for last year. Ah, but see, that’s the thing about Warren: Nothing you’ve seen suggests he CAN do the job. You and I are often getting off on tangents about whether prior experience is necessary to being qualified for a public office. But that’s only half the equation. The other, equally important reason you should want candidates to have prior public experience is that it affords you the chance to OBSERVE THEM IN ACTION. You know nothing about how Warren would perform. You can’t. And to end it all, Rolling Stones to lead them off the stage… glad it wasn’t the Beatles. Voting for Mal Hyman tomorrow in the 7th U. S. House Dem run off. Most of my candidates finished last in the primary but I’ll take the chance I won’t jinx Mal. Mr. Hyman was very impressive when I met him at Gallivant’s Ferry earlier this year. Gotta ride that Blue Wave and vote Democrat at every opportunity!! So then just push the straight line ticket. An insult? Unless I see an Alvin Greene I will most assuredly vote 100% Democrat. That’s the ONLY pragmatic way to vote. Ms. Robertson. We need more Bernie’s. Won’t matter though. Carrigan because he seems reasonable. It all depends on your definition of reasonable. I vote based on intelligence, ethics, what they have accomplished in life (not just in politics), and their stance on the issues I value the most: taxes, limited government, supporting personal freedom, and minimizing bureaucracy to the extreme. That all seems VERY reasonable to me. My process for choosing Carrigan was exactly the same as yours. Carrigan. “We had to struggle with the old enemies of peace–business and financial monopoly, speculation, reckless banking, class antagonism, sectionalism, war profiteering. “They had begun to consider the Government of the United States as a mere appendage to their own affairs. We know now that Government by organized money is just as dangerous as Government by organized mob. And this is the “centrist” you think Carrigan resembles? Sorry–inequality is a real issue, and one that has nothing necessarily to do with “resentment.” It has to do with the fact that policy follows the desires of the monied–a fact well documented in the poli sci literature. And it’s at its worst here in the South, where umpteen policies are stacked against the poor. Why not face the issue head-on? Even then, it wasn’t fighting. One man’s “whiny” is another’s pragmatic elder statesman. We’re entering a new gilded age and unless we get more people who clearly see the situation like it is then we are doomed to an era of plutocracy rather than a prosperous nation where all can enjoy the benefits of a booming economy. A little less economic growth is a small price to pay for all to share in the growth we do have. The easiest way to share in the growth is to have skills that aren’t a commodity. With all the access to free education online these days, there’s no excuse to be stuck at the bottom of the economic ladder. Start climbing instead of waiting for the elevator to be built. If McMaster wins, how long will it be before we start seeing the anti-Trump ads either from James Smith or from shadow PACs that support Smith to show up? Friday? or sooner? If Smith turns this into a anti-Trump campaign, I won’t vote for him. We all know who Trump is. Tell us what you are going to do. I’m pretty sure he won’t. That was Marguerite Willis’ shtick. Not James Smith’s….